This is my only attempt at "almost Macro" photography. After seeing the results, and all of the detail on the face of a butterfly, I can now understand why some hobby photographers shoot bugs at life size. 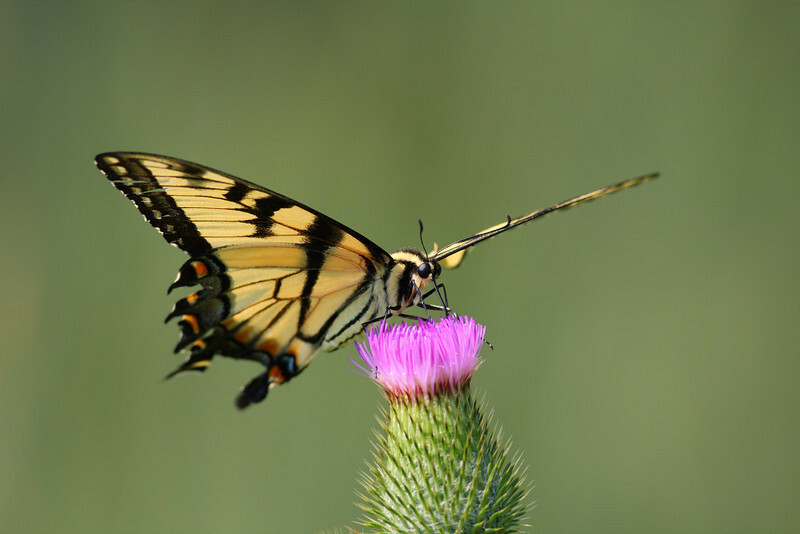 The yellow swallowtails were shot with a Canon zoom lens with a 25mm macro adapter attached. This is certainly not true macro, but a fantastic combination for overall image quality!